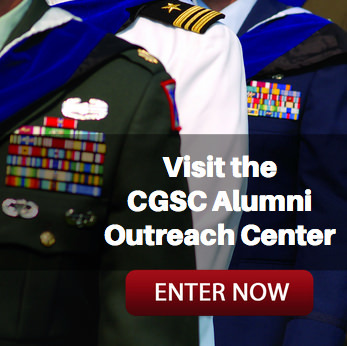 'Fate of the Kaiser' is topic of next WWI lecture – Oct. 24 | Command and General Staff College Foundation, Inc. 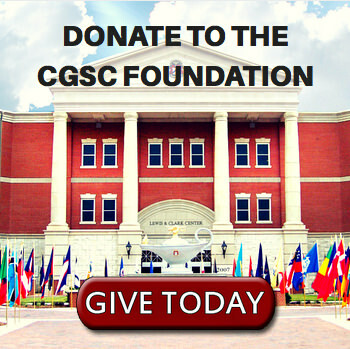 The Department of Military History of the U.S. Army Command and General Staff College and the CGSC Foundation at Fort Leavenworth invite the public to attend the 17th in a series of lectures intended to educate the public about World War I during its 100-year commemoration. 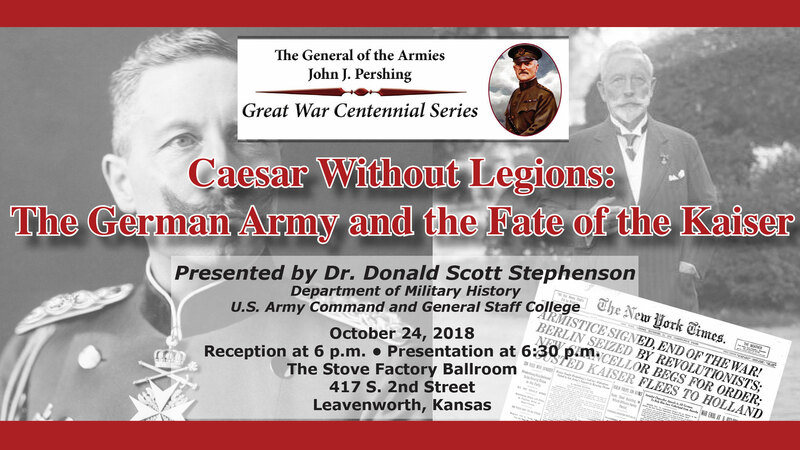 – Dr. Donald Scott Stephenson will present “Caesar Without Legions: The German Army and the Fate of the Kaiser,” at the Stove Factory Ballroom in downtown Leavenworth, Kansas (417 S. 2nd Street), Oct. 24, at 6:30 p.m. Attendees are also invited to the reception that begins at 6 p.m. In November 1918, facing defeat on the battlefield and revolution at home, the German Kaiser faced an impossible decision. Should he seek a hero’s death at the front, should he lead the army into the homeland to crush the revolution, or should he flee to a neutral country to avoid the fate of his cousin, Tsar Nicholas, shot down by a revolutionary firing squad? In this 17th lecture in the series Dr. Stephenson will examine the Kaiser’s decision. All lectures in the series are free and open to the public. For more information on this lecture series contact contact Rod Cox, email– rcox@thesimonscenter.org, or phone 913-82-7244.